Is Penguins' Management Letting Loyalty Cloud Judgement? Is the Penguins’ Management Letting Loyalty Cloud Judgement? After making back-to-back trip to the Stanley Cup in the 2007-08 and 2008-09 seasons, the Pittsburgh Penguins looked to be a dynasty in the making. Since that point, both Sidney Crosby and Evgeni Malkin had pay raises but the team has continually faltered. The deepest playoff run the Penguins have made since that point was in 2012-13 when they made it to the Eastern Conference final and were swept four games to none by the Boston Bruins. The playoff failures eventually became too much for owners Mario Lemieux and Ron Burkle to bear and general manager Ray Shero and head coach Dan Bylsma were relieved of their duties. In comes rookie head coach Mike Johnston and veteran GM Jim Rutherford. Change the management, change the players, but one thing will remain the same and it’s that loyalty runs the Penguins. From the ownership of Lemieux and Burkle, to the front office and David Morehouse all the way down the line, the mentality has been set. Taking some quotes from Mike Colligan’s previous pieces. Mario Lemieux relies on those around him. At age 49, he maintains a tight inner-circle, just as he did during his playing days. Lemieux always takes care of his friends. The same mentality that Lemieux has always followed, runs up and down the organization. Regardless of who is put into power within the organization, the result will be the same because they operate under the same principles that the current ownership has. I’ve previously written about how a sale of the franchise could actually benefit the team and might be what is required to chase the elusive Stanley Cup. Taking another excerpt from Colligan’s work. I also wonder about the future of Pittsburgh’s front office setup. Leftovers from the Ray Shero regime, a trusted advisor from Rutherford’s failed Carolina campaign, assistant coaches supposedly hired before the head coach, and reports of everything from miscommunication to dysfunction. Not to mention Rutherford’s vulgar and embarrassing confrontation this week with Rob Rossi of the Tribune-Review. Will this offseason allow Rutherford to relax and execute his true vision or simply dig the hole deeper? Oftentimes a lot of people look at the contracts of Pascal Dupuis, Chris Kunitz and Rob Scuderi and simply blame Shero for being blinded by loyalty. However, this could not be further from the truth, because it has been Shero following in Lemieux’s footsteps and “always taking care of his friends.” It’s easy to sit here now and second guess the mistakes, but at the time, these moves were celebrated. You heard things like “the piece” (Scuderi) is coming back to Pittsburgh and “Crosby is keeping his wings around.” But the truth is, all three were given too much tenure and too much money simply so they could finish their careers with the Penguins. But hasn’t Rutherford been different in his first year? On the surface yes, but take a look quote snagged by the Pittsburgh-Tribune Review’s former Penguins beat writer Josh Yohe. Rutherford obviously has to talk and work with ownership since they are, in fact, his boss. Yet, if he is taking lessons and advice from ownership about how to build a hockey team then the results will continue to be the same. Additionally, if you look at Rutherford and Shero, you start to see some similarities, granted Rutherford’s sample size has been much smaller. Neither man came to the Penguins with the idea of letting loyalty run their hockey club, but it slowly takes over. Shero’s worst moves were the three mentioned contracts and they were towards the end of his tenure. Now look at Rutherford’s first season; let me preface this first point with a big disclaimer, I believe it needed to happen and the timing was off, but Marc-Andre Fleury’s extension was poorly handled. It should have either happened before the season or after the postseason run when he proved that he had surpassed his “playoff demons.” It should not have happened in the middle of the season, but Rutherford saw a very strong Fleury and saw fit to reward him with a long extension at the wrong time. However, don’t think there was ever a chance that Fleury might have left Pittsburgh. Move a little further into the season and you see what might be the biggest mistake of Rutherford’s first year and that was the Simon Despres for Ben Lovejoy trade. Why would the Penguins want a player they had just traded away a few seasons ago, it was the assistant GMs pushing for it because of their loyalty. They saw Lovejoy playing well in Anaheim, a right shot, and they wanted him back because of their loyalties. The season ends and the rest of Rutherford’s move displayed no over-reliance of loyalty, the offseason began and the team continued to be rebuilt. However, in the last few weeks both Matt Cullen and Sergei Gonchar were given chances with the club. One won a Stanley Cup with Rutherford in Carolina and the other is somewhat of a legend in Pittsburgh, but neither fits with the desire to get younger or faster. 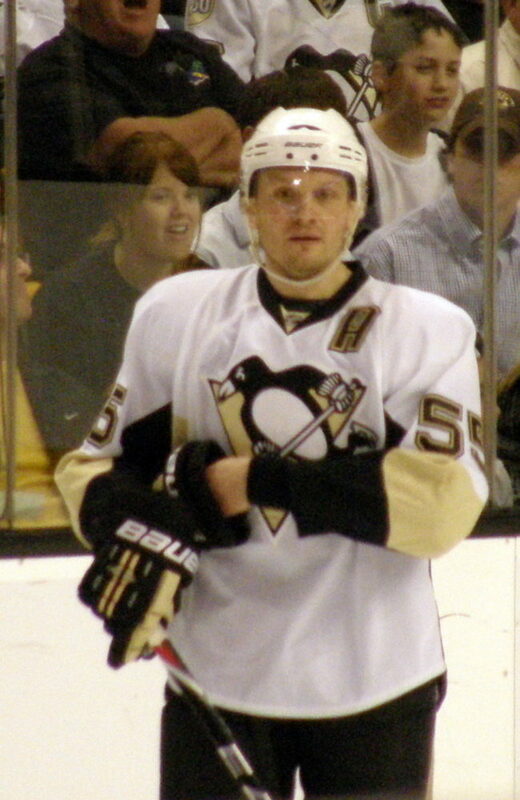 Yes, Gonchar was signed to a tryout contract and most likely he will not make the team. Last season he was a healthy scratch for almost half of the Montreal Canadians’ games and did not play in their playoff run. He was a defensive liability when he left the Penguins and he’s now much older and clearly does not have much left. My prediction for Gonchar’s time with the Penguins? He won’t make the team in training camp, he was brought in to mentor the young defenders in training camp and the preseason and then he will be cut. No big deal right? It’s a low risk signing that can’t hurt the development of the youth. But what’s likely going to happen is that Gonchar will get cut after preseason, he will retire and join the Penguins front office. Shero didn’t start his tenure with the Penguins by letting loyalty cloud his judgement, it slowly slipped in over time and that’s what I fear is happening with Rutherford. I wrote a couple days ago that the Penguins could dominate the Metropolitan Division this season, and I truly believe that, but they have to trust their youth and avoid letting loyalty cloud their judgement. Just remember this when you think about the current ownership of the Penguins and the impending sale.